Pinterest is giving users a closer look. Today, August 16, Pinterest launched one of its most requested features with the ability to zoom inside Pins for a better look at the image. The new Pinterest zoom feature comes with a visual search update to look for a specific object. And that same ability to search via image is also now available without a Pinterest account with the addition of visual search inside the Chrome browser extension. Pinterest says the ability to zoom in on a Pin is one of the most user-requested features. With the update, rolling out globally today on iOS and in the future for Android users, the app allows Pinners to pinch to zoom in on an image or a GIF. The feature allows users to see more detail, particularly in pins with containing multiple items, like a photo of an outfit or an entire room. 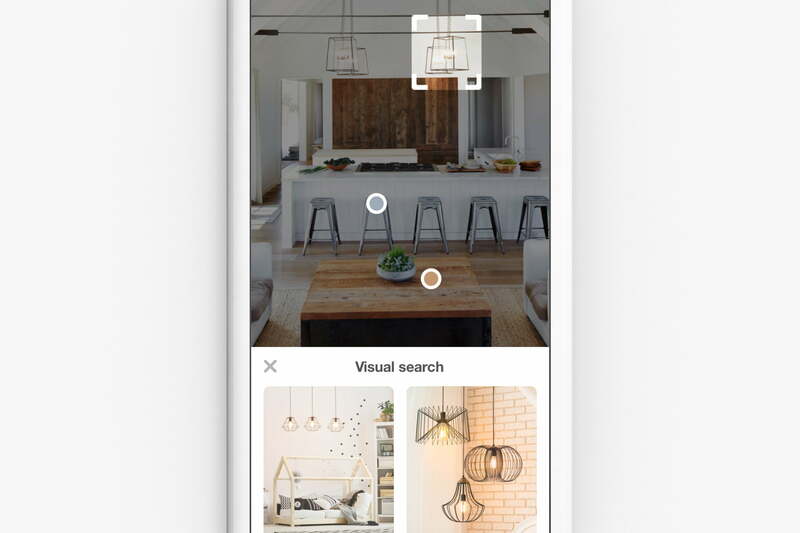 To keep that pinching motion from confusing the system with other touch controls, Pinterest also updated its visual search option. Inside a Pin, users can tap on the icon in the bottom right corner to start a visual search. Just like zooming in offers more detail on multi-item pins, the search tool can also now search for just one object in that photo. For example, Pinterest says, users can search for just the shoes in a photo of an entire outfit. Pinterest Lens is expanding the platform’s online brainstorming in a big way by using image recognition technology to isolate objects in a Pin and recommend similar objects. Pinterest is now extending that same visual search capability to web surfers without a Pinterest account. The Pinterest browser extension for Chrome now includes the visual search tool, allowing users to surf the web for similar items. While Pinterest Lens is still in beta, the tool has been well received, allowing users to find new ideas even when they don’t quite have the words for exactly what they are searching for. Pinterest’s advantages, according to the social media platform itself, is that searches can take on an unexpected direction, leading to new ideas that probably would not have come up in just a text-based search. Several of the platform’s latest updates have largely focused on the new Lens tool, expanding the type of objects the program recognizes from fashion to food.